Ace curly hair care with our practical tips! We can’t stop professing about how important it is to invest some serious time and effort into curly hair care. Loving your curls pays back in kind: not only will a lush, healthy-looking head of curls keep you looking uniquely on-trend this summer, it also instills some damn-near-invaluable hygiene habits. We all know that curly hair follows its own set of rules. We all know that curly hair follows its own set of rules. Compared to other hair types, it’s drier, more volatile and rather vulnerable to frizz. These distinctive characteristics can cause wearers another whole level of frustration—or, if you’re optimistic, make you that much more patient when troubleshooting snafus along the way. Allow us to help with the process and share some nifty tricks into getting the most mileage out of your curls – from extending their shape to cutting down on styling (meaning, more time to snooze in the AM). Because, well, who doesn’t appreciate a good hair hack now and again? Trade in your weekly shampoo-and-conditioning rinse with a co-wash. Confused by the term? Well, don’t be. It simply describes using a rich cleansing conditioner used in lieu of regular shampoo. It helps to gently refresh strands without stripping your already-fragile kinks of moisture! Try: Dove Advanced Hair Series Absolute Quench Shampoo and Conditioner (£5.99 each*). This curly hair care range is specifically designed to care for the unique twists and turns of this hair type, while retaining and defining your beautiful curl pattern. 2. Use combs – gently! Although, boar-bristled brushes do a pretty good job of distributing hair oils from root to tip, if you’re looking to quickly detangle your curls, you’re safest bet is to use your fingers or a wide-tooth comb. Not only does this minimise breakage while ridding your head of tangles, gently raking your hair with your fingers, a wide-tooth comb or afro pick can also help keep your curls and coils free from frizz. Coating your curly, coily or afro hair with a hair oil treatment before you shampoo can also help protect textured strands, minimise friction when washing your mane and retain moisture. So why not try the VO5 Nourish My Shine Moisture Hot Oils (£4.28*)? These nifty, individually-sized tubes help to counteract the damage caused by heat styling and daily brushing (reducing breakage from brushing by up to 60%**). And curly-haired swimming fans can also rejoice, because this curly hair care product also removes 75% more chlorine than shampooing alone! Use a deep-conditioning treatment, while you go about the rest of your bath business. Two birds with one stone: you get to scrub the rest of your body while giving your locks some extra TLC! The Dove Advanced Hair Series Quench Absolute Intensive Replenishment Mask (£6.99*) is a rich mask that helps to hydrate hair – without weighing it down – which is great for retaining the bounce in your curls. This creamy, lightweight formula penetrates curly tresses, helping to define curls. The best part is, you only have to leave the treatment in for 2-5 minutes! The rainy-day top knot squeezes one more awesome hair day out of your week. For those tricky, sweaty, just-finished-a-workout, in-between days, consider using a leave-in conditioner as part of your curly hair care routine. When spritzed onto hair, they do a pretty good job of reinvigorating your ringlets – fast! As well as giving you nice, lightweight, on-the-go moisture. We love the TRESemmé Botanique Nourish & Replenish Hydrating Mist (£5.50*) because of its lightweight, yet conditioning formula. It’s free from silicones, parabens and dyes – and is enriched with a botanical blend of coconut milk and aloe vera. Plus, it does a great job of detangling curls and coils! Amazing stuff, indeed. A stylish high pineapple ponytail or cute top knot both inject some variety into your look and protect your curl pattern at night. The idea is that you gather all your curly tresses into a loose high ponytail (resembling a pineapple) to help retain curl definition. To quickly and easily master the pineapple, click here to see our step-by-step guide by YouTuber Mini Marley – and don’t forget to watch the video too! Several curly hair care advocates the use of soft T-shirts instead of towels for drying wet hair. Why? Because the smooth cotton of that lived-in concert tee absorbs water, but is gentle on your tresses as it causes less friction on strands. 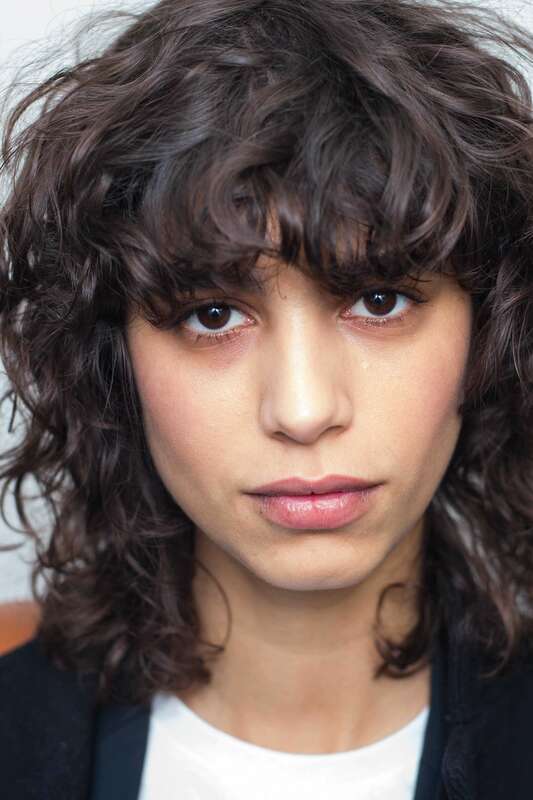 Now you can bid farewell to a frizzy halo of post-wash curls! 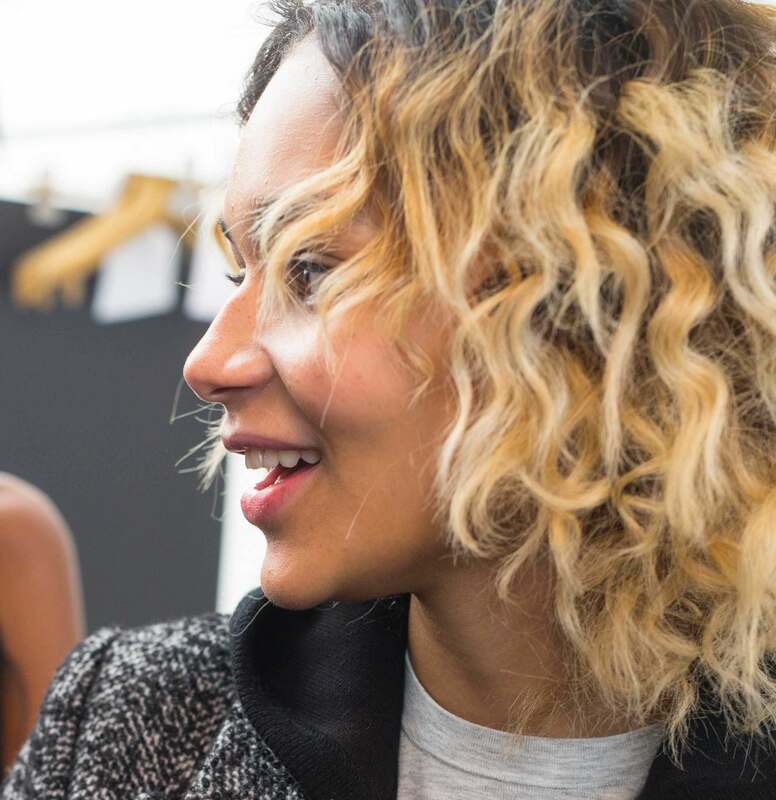 What are your favourite curly hair care hacks?